1st edition of the Ortona Challenge race in tandem with Ottawa, Canada. Join us! A great day for celebrating friendship and sport, dedicated to the history of two peoples and two communities, to honour the memory of the young people who lost their lives for the freedom of all. 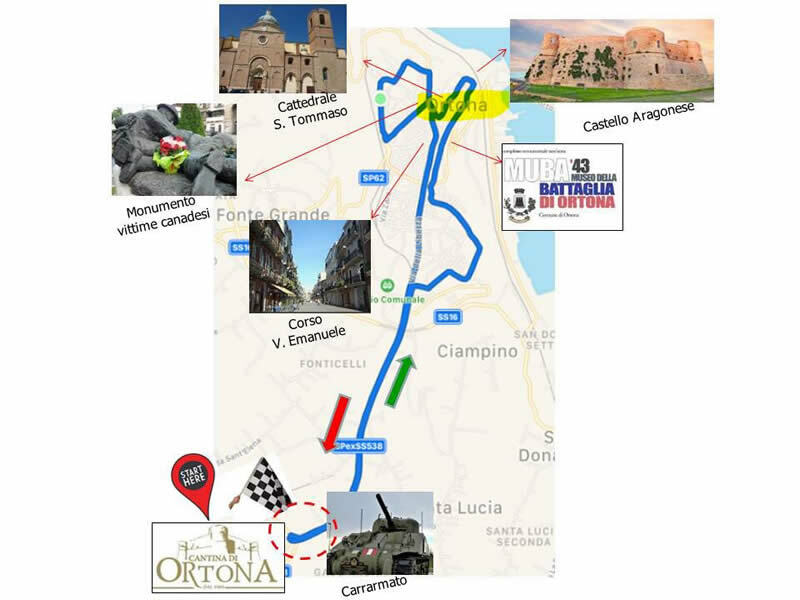 Inspired by the idea of friendship and the belief in everlasting brotherhood in all its forms, expressed through sport, the “Cantina di Ortona” and the Association “Ortona for Runners” have organized a race entitled the “Ortona Challenge”, to commemorate the 75th anniversary of the liberation of the town of Ortona by the Canadian Allies (28 December, 1943). 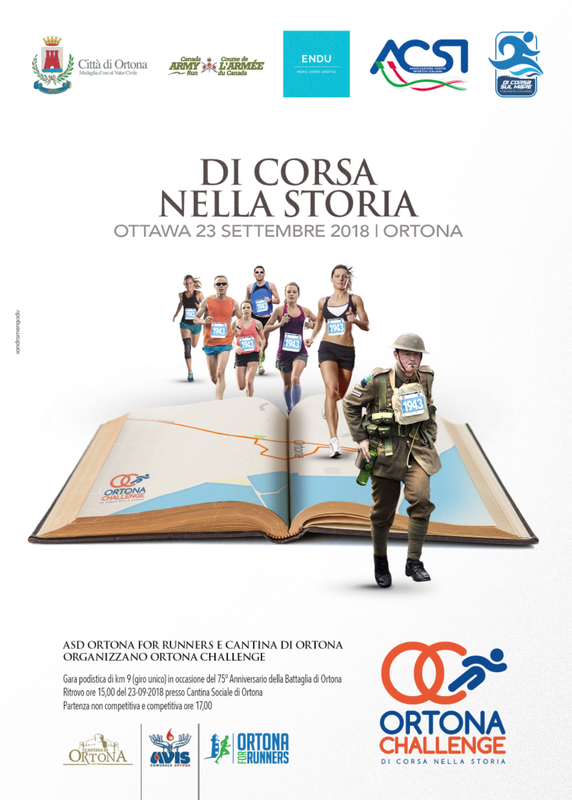 The Ortona Challenge is a tribute to “meglio gioventù” (“the best of youth”), to their heroism and the ultimate sacrifice they made, celebrated in a unique event, which after 75 years will bring together Ortona and Ottawa in a “Remembrance Day” of sport, friendship and peace. Join the communities The idea of the race is also to strengthen the ties between the two communities in Canada and Italy, united by history and emigration, especially on the Italian side and in particular from Abruzzo. 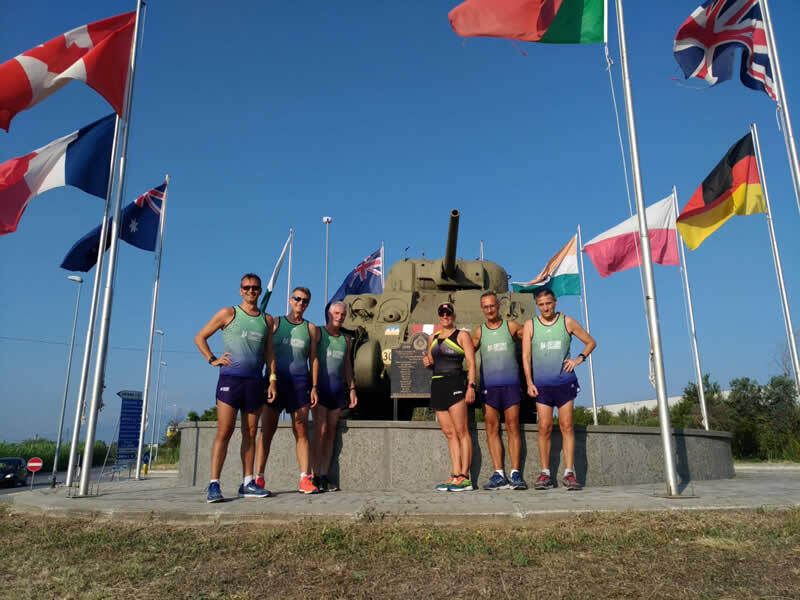 The race will start from the roundabout (the so-called “Cider Cross”), close to the Cantina di Ortona winery on the SP 218 Marrucina road, where a Sherman tank is located which was used by the Canadians to free Ortona, The start time is at 17.00, coinciding with the end of the same race organized in Ottawa by the Canadian Army (for further information, see http://armyrun.ca/race-weekend/ortona-challenge/). The route includes the main locations in the town: Via della Libertà, Corso Garibaldi (in front of the Battle Museum - MUBA), the Aragonese Castle, Saint Thomas Square, Plebiscito Square, Via del Corso, with the finish line at the Cantina di Ortona, without however retracing the main stages in the bitter battle fought house by house and defined by Churchill as the “Little Stalingrad”. In the fall of 1943, young men from Canada fought and fell in Ortona for our common freedom: 1375 Canadians rest on the hill of San Donato, at the Canadian War Cemetery on the river Moro. More than 800 Germans and over 1300 civilians lost their lives during the battle. Large numbers of Canadian soldiers, serving in Italy on various NATO bases, should be participating, with civilian and military authorities in attendance. For further information on the race and how to participate, please consult the following website: http://www.ortonaforrunners.it and the Facebook page https://it-it.facebook.com/OrtonaCorre/ Please join us!